Sometimes a gal has got to throw frou-frou out the door and just get down and dirty….. for breakfast that is. I’m talking about turning to premade pantry items that can be thrown together in about 15 minutes to create a gritty, gut bomb breakfast. Something so darn good that you should actually feel a tinge bad about inhaling. But don’t…. in fact, I’ll like you more for it. 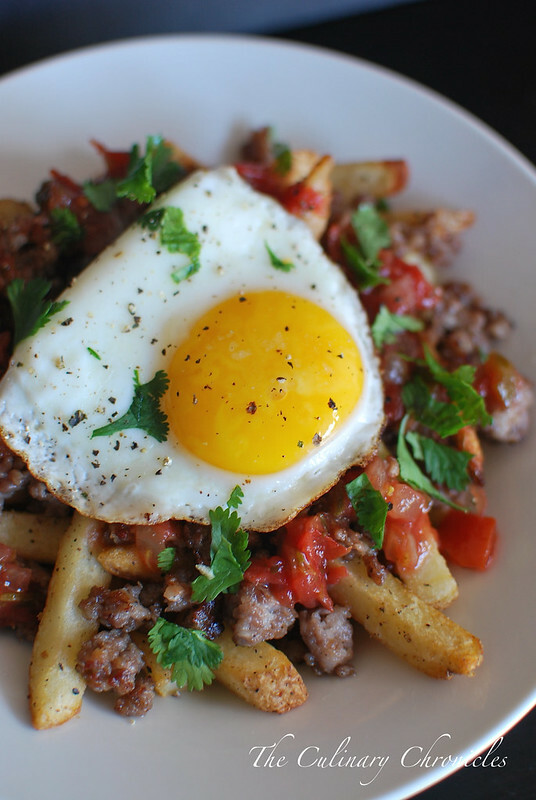 C’mon now... we’re talking fries with a runny egg. It’s a no brainer. Place a large piece of aluminum foil over a baking sheet. Spread the french fries in a single layer over the foil and lightly cover with cooking spray. Bake until crispy according to package decorations. In a skillet, add the breakfast sausage and cook over medium heat. Use a wooden spoon to crumble the sausage and break into small pieces. Cook the sausage until browned and transfer to a plate. Take a paper towel to wipe out the majority of the grease left from the sausage. Return the skillet to the stove over medium low heat. Crack the egg into the skillet and fry it until the yolk has just set. 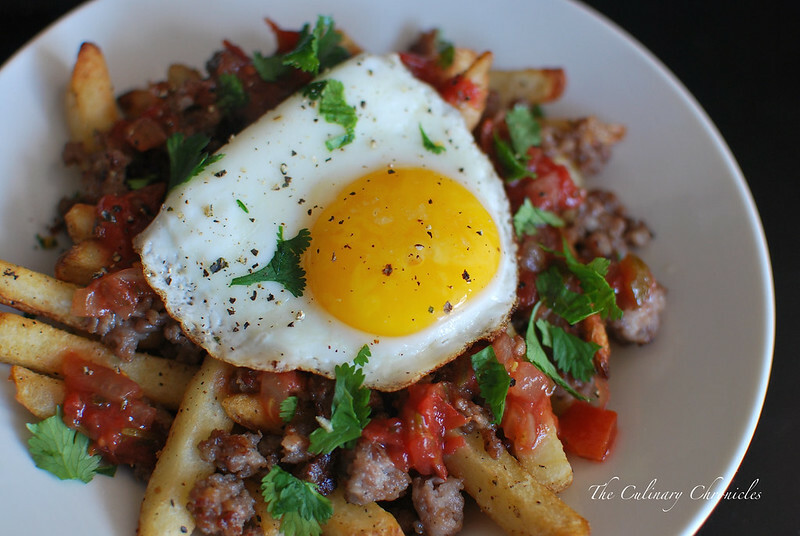 Plate the baked fries onto a dish and top with the browned sausage, salsa and then fried egg. Add a pinch or two of both pepper and salt over the egg. Sprinkle the plate with the chopped cilantro and enjoy warm. Next Post Spring Skillet Pizza Pie for π (PI) Day! I definitely have to try this. These look delicious!